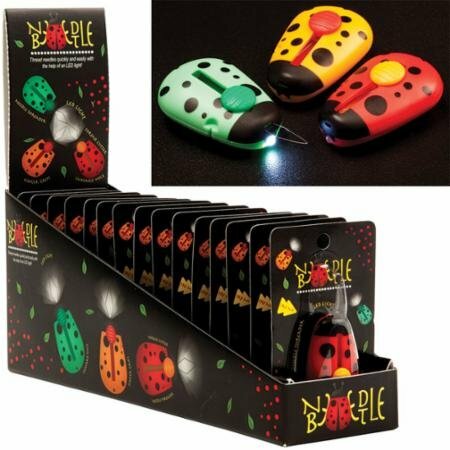 Needle Beetle, this little cutie places modern LED lighting, ergonomics and common sense into the ageless needle threader. The threading wire is protected when not in use. Finger grips for easy one handed operation. Includes well positioned thread cutter and lanyard slot just in case you want to keep your beetle on a leash! Long lasting battery - thread up to 3,000 needles.